An industry favourite, designed for heavy and constant use. What makes a Schuco bi-fold door special? German design and engineering paired with English build quality creates a fantastic product that has been proven to last. The design benefits from meticulous attention to detail and exquisite hardware that complements the doors perfectly. Who buys Schuco bi-fold doors? The doors are designed to be opened and closed frequently and tend to be installed in places with high volumes of traffic. For this reason, they are often found in commercial settings, such as bars, hotels and restaurants. One of the advantages of the door is its deep bottom rail. The rail stops people from kicking the glass as they walk through, which helps prevent glass breakages and damage. Can I have a Schuco bi-fold door in my home? Yes. We have installed The Schuco bi-fold door into residential properties, from country homes to contemporary dwellings. The door is very versatile and offers plenty of colour choices to suit any setting. In a residential property, the door will add value, be a great investment and last for many years to come. What makes a Schuco bi-fold door unique? This bi-fold door has one of the slimmest sightlines, with just a frame width between each two panes of glass. This gives you the best possible view of your outside area. The Schuco bi-fold is the only bi-fold door that can be up to 3m tall without any modification. The high standard of engineering means its rollers can carry more than 100kg and still roll smoothly. 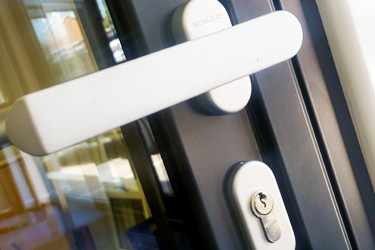 How secure is a Schuco bi-fold door? 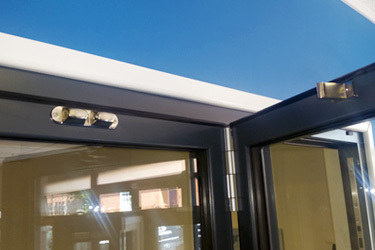 All our bi-fold doors are designed with security in mind and Schuco doors are no exception. Your door will have a six-point locking system that has been tested to the most stringent standards. It will also be equipped with anti-bump locking barrels and anti-burglar hinges, so you won’t have to worry about intruders breaking in. Is a Schuco bi-fold door easy to install? Installing a Schuco bi-fold requires substantial experience and competence. 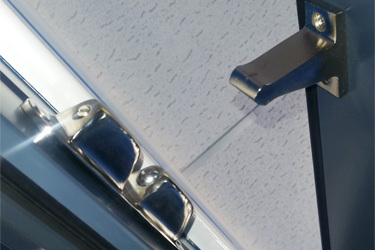 Once installed, the doors perform flawlessly and rarely require follow-up servicing.